House Democratic leaders are urging their colleagues to tone down the impeachment rhetoric as it relates to President Donald Trump. During a Monday evening conference call, high-ranking party leaders tried to squash talk of pursuing impeachment at this time. According to The Hill, House Speaker Nancy Pelosi and others expressed their concern over jumping on the impeachment bandwagon without concrete evidence Trump might have committed an impeachable offense. Other lawmakers said it is time to pursue impeachment. “I think we have great evidence that the president has blatantly violated so many laws. It’s just ridiculous,” Rep. Val Demings, D-Fla., said, The Hill reported. “I think we have enough” to start the impeachment process. According to CNN’s Manu Raju, Rep. Maxine Waters, D-Calif., said she is still in favor of impeaching Trump but she is not actively trying to recruit other members to join her effort. Mueller recently completed his investigation into Russia interference in the 2016 U.S. presidential election. He did not find evidence Trump conspired with the Russians to defeat Democrat Hillary Clinton, but he was unable to determine whether Trump obstructed justice. Since a redacted version of the report was released last week, Democrats are pointing to evidence that shows Trump may have tried to interfere with Mueller’s probe. Three Chinese runners received lifetime bans from competing in official races in their home country over allegations that they cheated in the recent Boston Marathon. According to Xinhua news, two of the runners applied to race Boston, which occurred on April 15, with falsified qualification documents. The other runner is accused of giving his Boston bib to someone else. Moving forward, neither of the three runners will be allowed to race in a Chinese Athletics Association (CAA) event. The Boston Globe reported that 620 Chinese citizens entered Boston. Five hundred thirty-seven competed on race day, with all but three of them finishing. “Although the recent cheating allegations are a disappointment, we are highly confident that the vast majority of the field works hard, trains through all conditions, and brings integrity and good sportsmanship to our course,” the Boston Athletic Association, which organizes the marathon, told the Globe. The Globe listed the three aforementioned runners’ names as Wu Zhaofeng, Zhao Baoying, and Zhang Jianhua. (Reuters) – Barclays Plc is planning to cut bonuses for investment bankers as it steps up its defense against activist investor Edward Bramson ahead of next week’s annual meeting, the Financial Times reported on Monday. The British bank is cutting bonuses as part of a cost-cutting measure to enhance returns at the bank’s underperforming investment division, the FT said, citing several people briefed on the plans. Monday was a public holiday in Britain and Barclays was not immediately available for a request seeking comment. 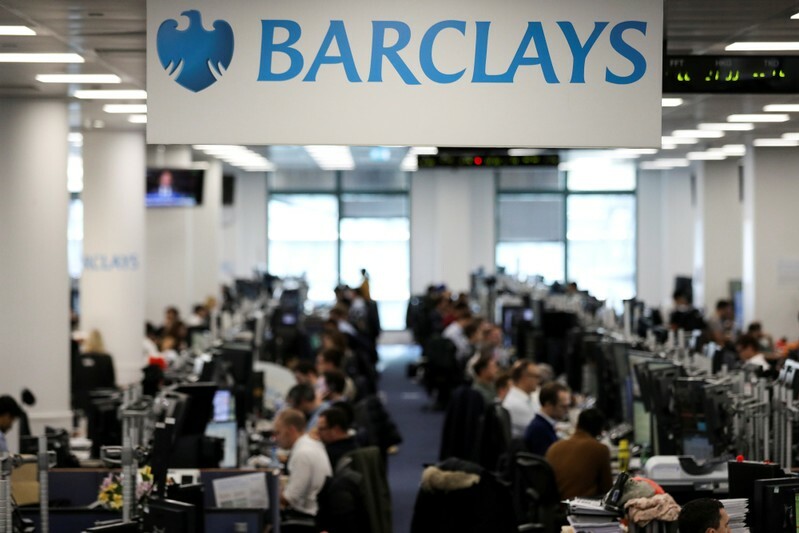 Earlier this month Barclays urged shareholders to oppose New York-based Bramson’s bid to be appointed to the bank’s board at its annual general meeting on May 2. Rep. Doug Collins, the top Republican on the House Judiciary Committee, viewed the less-redacted version of special counsel Robert Mueller’s report on Monday, saying there is no reason for Democrats not to do the same, the Washington Examiner reported. Select Democrats allowed to see the less-redacted report have refused to do so in protest of how Attorney General William Barr has handled its release. House Judiciary Chairman Jerrold Nadler issued a subpoena last week for the full report and its underlying documents, giving the Justice Department until May 1 to turn over the information. Collins also criticized Nadler for making “wildly inaccurate claims” about the report by saying Mueller “made it very clear” he wants Congress to reach a determination on whether President Donald Trump obstructed justice, according to The Washington Times. RIO DE JANEIRO (Reuters) – Brazil’s Petroleo Brasileiro SA is re-examining its treatment of whistleblower complaints after the indictment of six of the state-run oil firm’s traders in December indicated that efforts to root out corruption had faltered, according to three people familiar with the matter. In recent weeks, officials at Petrobras, as the firm is known, have summoned a number of current and former employees who had flagged instances of corruption at the company, particularly in relation to its trading operations, the sources said. Company officials questioned the employees on how their complaints had been handled, said the people, who requested anonymity to discuss internal matters. Some of the employees said they were unsatisfied with the company’s response and believed the wrongdoing was not addressed, sources said. 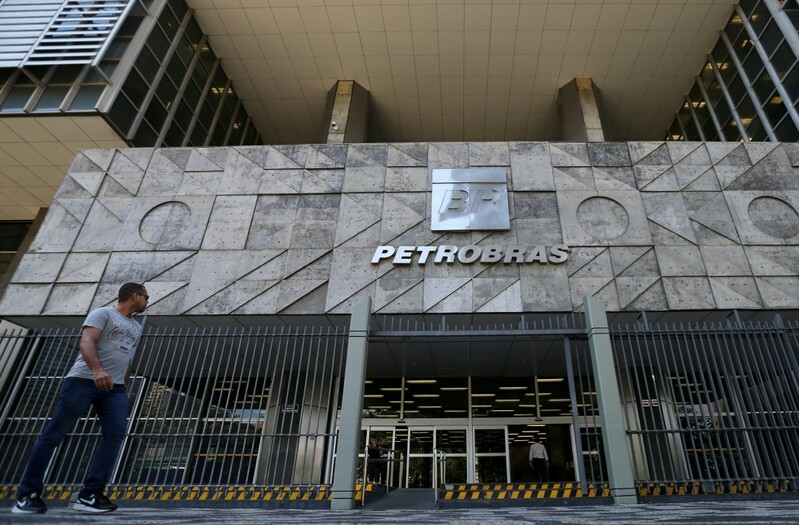 In a statement, Petrobras said it was not investigating its controls but rather carrying out a thorough internal probe relating to the December oil trading indictments, with some 27 professionals looking into the matter. The firm said it could not go into detail regarding the internal probe, citing the need to protect employees and the integrity of the investigation. The enquiry underlines how Petrobras is still working to improve compliance and root out the graft at the center of Brazil’s five-year “Car Wash” investigation, considered by U.S. law enforcement to be the largest corporate corruption case ever. The scandal has spread across Latin America, toppling governments, destroying business empires and leading Peru’s former president Alan Garcia to kill himself last week to avoid arrest in a related investigation. Petrobras has said that a robust compliance department and beefed up internal investigations team have helped it to correct course since the Car Wash probes came to light in 2014 with revelations about political bribes paid by contracting firms. However, in December, Brazilian prosecutors blew the lid off another kickback scheme, this time in the oil trading division of Petrobras, which also implicated commodities trading giants Glencore PLC, Vitol SA and Trafigura AG. In March, Reuters reported that Petrobras officials had known of problems in its oil trading operations for years, although the company failed to quickly identify suspects and sideline them from operations. Of the six people indicted in December, one pled guilty to conspiracy to commit money laundering and is cooperating with U.S. authorities in a parallel investigation of the scheme, Reuters reported in February. Those indictments were focused on the company’s Houston trading desk. Some of the employees interviewed by Petrobras in recent weeks had previously complained of irregularities at the Singapore desk, the sources said, raising the possibility that the probe could expand geographically. Petrobras did not comment on those allegations. According to documents sent to Brazilian federal police investigators and seen by Reuters, a Singaporean employee complained to Petrobras officials in December 2012 of irregular trading of bunker fuel, which is used by ships. A subsequent internal investigation found that Petrobras had paid unusual premiums for a significant quantity of bunker fuel in 2012, according to the documents, which were dated late 2012 and early 2013. Internal investigators recommended a series of measures to improve transparency at the Singaporean trading unit. It is unclear if those measures were carried out. The federal police did not respond to a request for comment. Enter Xu Zhangrun. 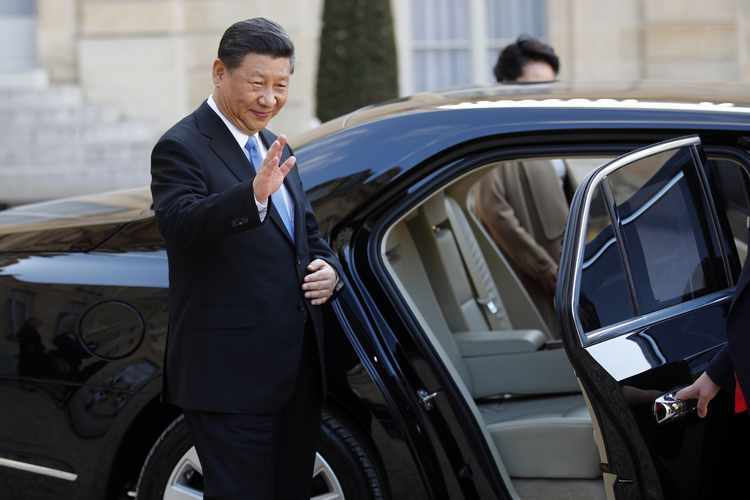 A fifty-six-year-old professor of constitutional law at Beijing’s prestigious Tsinghua University, Xu is well known in Beijing as a moderate and prolific critic of the government’s increasing embrace of authoritarianism. The government is, of course, adept at marginalizing such voices. As a result, Xu and his supporters are unknown to the vast majority of Chinese people. That makes it hard for public intellectuals to effect change. But they perform another, important function: reflecting the Zeitgeist of an era. 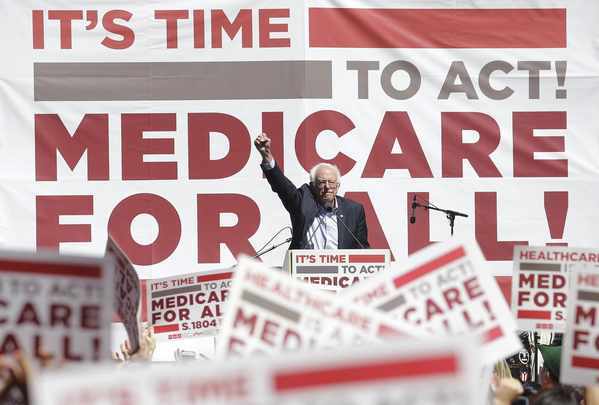 Last week, Sen. Bernie Sanders introduced a bill that would end health care as we know it, and Americans should thank him for letting us see where the Democrats want to take the country. Its central premise appears to be that Washington bureaucrats know better than patients and doctors. But as if taking health care choices from patients isn’t bad enough, this bill also hurts seniors, eliminates private health insurance for nearly 180 million Americans, wipes out Medicare Advantage for over 22 million, and harms our economy for generations to come. It doesn’t stop there: For good measure, the bill removes critical support for children and service members’ families while providing free care to illegal immigrants. According to estimates from nonpartisan experts, BernieCare could cost taxpayers more than $32 trillion over the next 10 years. Sanders decided a health care bill is a good place to direct our taxpayer dollars toward illegal immigrants rather than put America First. BernieCare allows the government to define who counts as a resident of the United States and makes all residents eligible for “free” health care. It’s always good to see wealthy foreigners from socialist health systems like Mick Jagger come to the U.S. to pay for the best care in the world, but the senator from Vermont wants to give it away to any foreigner for free, courtesy of American taxpayers. Lest anyone think that there would be no room for private insurance in Sanders’ new system, he has clarified that wealthy people would be able to pay for hair transplants and nose jobs. And to keep the pesky citizenry from complaining about essential treatments that could save their lives or the lives of their loved ones, his plan would ban all advertising for health care products and services. You see, if the government can keep Americans totally ignorant of what’s out there, then it’s easier for them to tell us we are out of options and make us suffer in silence. To be fair, Sanders did identify a few areas for cost savings in his bill. In what appears to be an effort to make sure military families do not receive the special support they deserve, he proposes to abolish Tricare. The military is not the only group targeted by this plan. The Children’s Health Insurance Program (CHIP) would also be eliminated under Sander’s vision. And of course, seniors would lose their specialized support as everyone else floods into Medicare and claims scarce resources. Sanders’ legislation allows for the secretary of Health and Human Services to consult a broad array of institutions when deciding how to implement his Utopian vision of health care. Organized labor, Indian tribes, various medical associations, and unspecified “business groups” make the cut, as do other federal agencies. Noticeably absent are Jewish and Catholic hospitals, which play a critical role in American health care delivery. BernieCare may not have room for religious providers in its America. The Trump administration agrees that there are real problems in U.S. health care, but the solutions do not include fewer choices and more power handed to bureaucrats to make health care decisions for American patients. Medical care has gotten too expensive, but we should be working together to get costs down—not using health care costs as a backdoor to reshape to economy of this great country. We should build on what works and fix what’s broken. That is why President Trump is working to protect people with pre-existing conditions, end surprise medical bills, increase the transparency of medical costs, lower drug prices, expand access to affordable coverage options, increase patient choice, stop the spread of HIV, end the opioid epidemic, transform kidney care, and accelerate therapies for pediatric cancer. As I’ve said in the past, if Bernie Sanders or his colleagues want to get serious about addressing any of these issues, they should know that the White House doors will always be open. Let’s work together to confront the problems of health care affordability and access — and do it together, in a bipartisan fashion. Joe Grogan is director of the White House’s Domestic Policy Council. 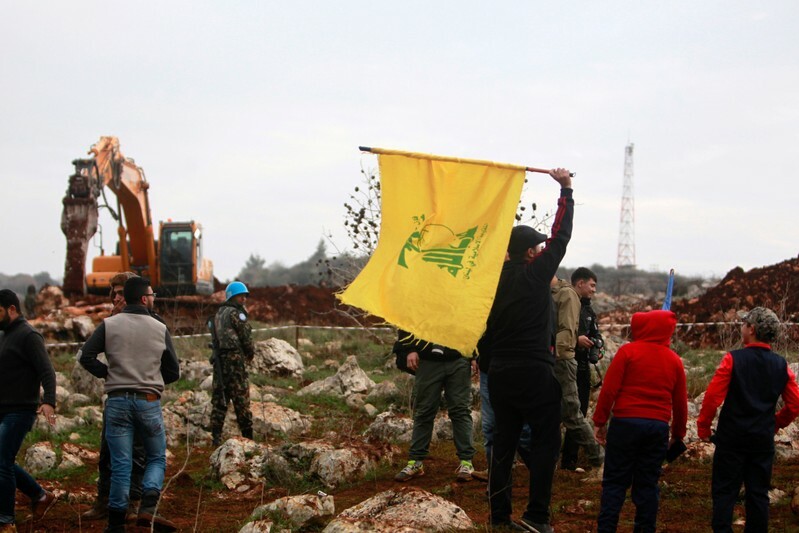 WASHINGTON (Reuters) – The United States on Monday offered a reward of up to $10 million for information that could help disrupt financing of Hezbollah, the armed Shi’ite group backed by Iran. The announcement by the U.S. Department of State’s Rewards for Justice Program comes amid growing concerns by Washington about Hezbollah’s growing role in the Lebanese government. Hezbollah’s regional clout has expanded as it sends fighters to Middle East conflicts, including the war in Syria, where it has fought in support of President Bashar al-Assad. New Jersey’s Democratic Gov. Philip Murphy is getting resistance from both sides regarding his budget proposal to raise gun permitting fees substantially, according to reports. New Jersey will have even higher gun permit fees than New York if the governor’s fee increases, proposed in early March, make it into the state’s budget. A carry permit would be $400, an identification card $100 and a gun owner’s permit would be $50, The New York Times reported Monday. Currently, those fees are $20, $5 and $2, respectively, and have not been adjusted since 1966. Democratic colleagues fear the increase will be viewed as another substantial tax increase, like several others New Jersey has recently enacted, the Trenton Bureau reported, including higher fees on Uber, gasoline, e-cigarettes and online purchases. Murphy believes the increase in fees will discourage people from purchasing firearms, thereby reducing gun violence and lowering the number of illegal guns coming into the state. He wants the increased revenue to be applied to programs that combat gun violence. Everytown for Gun Safety, a group funded by former New York City Mayor Michael Bloomberg, said it does believe increased fees may decrease gun crimes. “We think it’s a smart way to legislate,” said Jonas Oransky, legal director for the group. “We support strong data-driven intervention programs, and think that it makes sense to fund them by raising revenue from gun purchasers,” Oransky added, according to The Times. “I think what Murphy would want to happen is for every gun shop in the state of New Jersey to just close,” said Lisa Caso, owner of Caso’s Gun-A-Rama in Jersey City. Murphy’s proposals include a firearms tax of 2.5 percent and an ammunition tax of 10 percent. Discussions are ongoing and will not be finalized until the state legislature passes its budget, which is required by June 30. Alex Jones describes how our ancestors’ tribal call to war is sounding out yet again, this time for the information war, and we must fight all tyrannical, oppressive ideas to truly defeat globalism worldwide. Amid myriad calls for impeachment proceedings from Democrats and those resisting President Donald Trump, House Speaker Nancy Pelosi, D-Calif., is urging Democrats to “show the American people we are proceeding free from passion or prejudice,” according to The Hill. “While our views range from proceeding to investigate the findings of the Mueller report or proceeding directly to impeachment, we all firmly agree that we should proceed down a path of finding the truth,” the Speaker wrote in a letter Monday to Democrats, seeking to curtail rabid partisanship in targeting the president. “As we proceed to uncover the truth and present additional needed reforms to protect our democracy, we must show the American people we are proceeding free from passion or prejudice, strictly on the presentation of fact,” her letter concluded, per The Hill.